Framed by four elk-antler arches, Jackson’s Town Square is the picturesque centerpiece of Jackson. It serves as a meeting place, shopping and dining hub, or just a place to relax. 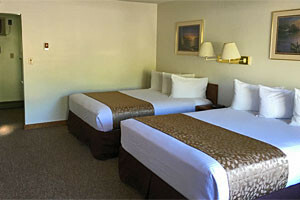 Our AAA-rated motel is 2 blocks from the Square, features Internet, heated pool and HBO/Cable TV. Located in a quiet, shaded area away from traffic. Affordable rates. Featured on Food Network's Diners, Drive-ins & Dives! 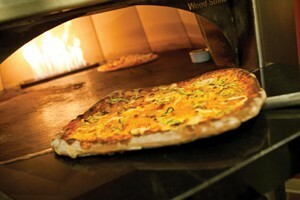 Voted best pizza in town for 4 years, expanded dining room, new sound stage & live music; this is Jackson's Hottest Spot! 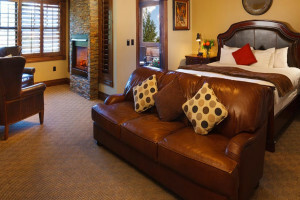 A most amazing luxury suite hotel that overlooks local parks, the National Elk Refuge and other downtown attractions. Offering private dining in our gourmet restaurant & spa. Thin crust, stone-hearth oven pizza at its best! Also serving freshly made salads & soups, micro-brews and affordable wines. 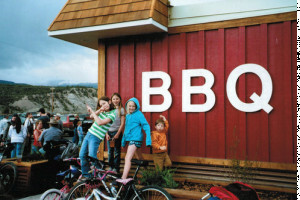 Stop by and enjoy the best pizza in Jackson Hole! 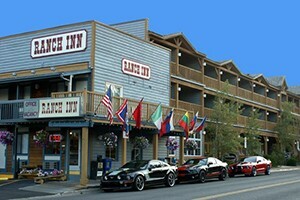 Just 1.5 Blocks from the Square, our accommodations are in the middle of shops, dining, entertainment and activities. 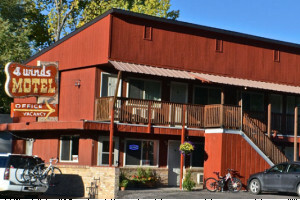 Family owned for 40+ years, we'll help you enjoy Jackson. Located in downtown Jackson, at the intersection of Broadway and Cache. Great shopping, art galleries and people watching. A focal point for Jackson activities and culture. Great place to pick up Jackson’s public transportation. Upon entering downtown Jackson, one is immediately attracted to Town Square and its many unique shops. Located across from the famed Million Dollar Cowboy Bar, featured in a handful of Hollywood western movies, the distinctive arches, made from hundreds of elk antlers , draw attention from droves of visitors. During the winter, when the arches and trees are blanketed with snow and decorated with lights, Town Square takes on a beautiful, festive atmosphere. A focal point for activity, the Square, surrounded by dozens of boardwalk-fronted art and photo galleries, bars, restaurants, factory outlets and gift shops, is also a prime location for the shopping savvy. Town Square is right in the middle of Jackson, at the intersection of Broadway and Cache. In 1932, the local Rotary Club planted trees in the center of Jackson. The original four arches were constructed in the 1950s and 60s. Today, the trees offer summertime shade and the arches, found in pictures of almost every Jackson visitor, mark the corners of Town Square. 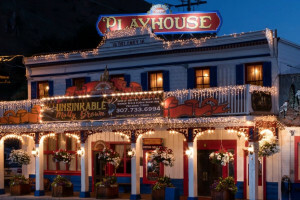 During the summer, stagecoaches wait here to transport visitors on a carriage ride around town. Every summer evening actors put on a free shoot-out reenactment of disputing outlaws and justice officers. The scene, which brings traffic to a halt, starts at 6:15 and has been a tradition since 1957. Each May, the local Boy Scout chapter holds the annual Elk Antler Auction in Town Square. 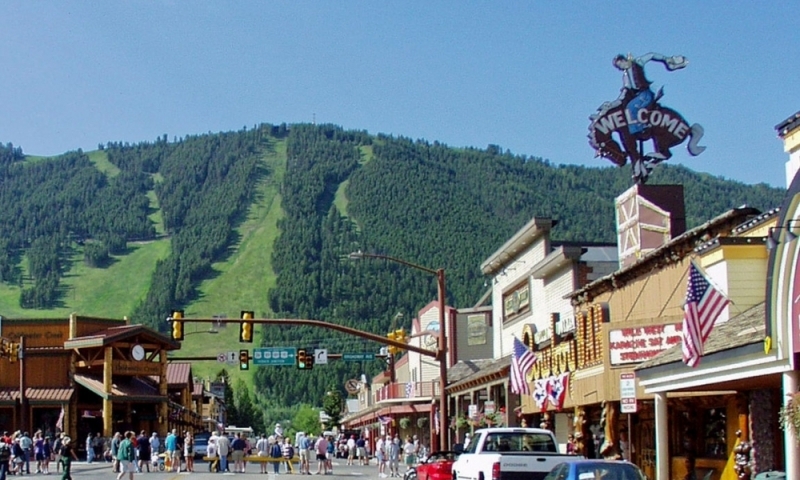 One can expect to find everything from special, regional goods to a select few mainstream clothing companies in the small shops that line Town Square. A number of choice art galleries and museums line the Square and offer great stopping points while strolling through town.